Summer Blowout - 50% Off At Crazy 8! You are here: Home / Great Deals / Summer Blowout – 50% Off At Crazy 8! Summer Blowout – 50% Off At Crazy 8! Save 50% on clothing items that will take your kids into fall! Get this 100% cotton Jersey Ruffle Tank in 3 colors 50% off at $7.44. 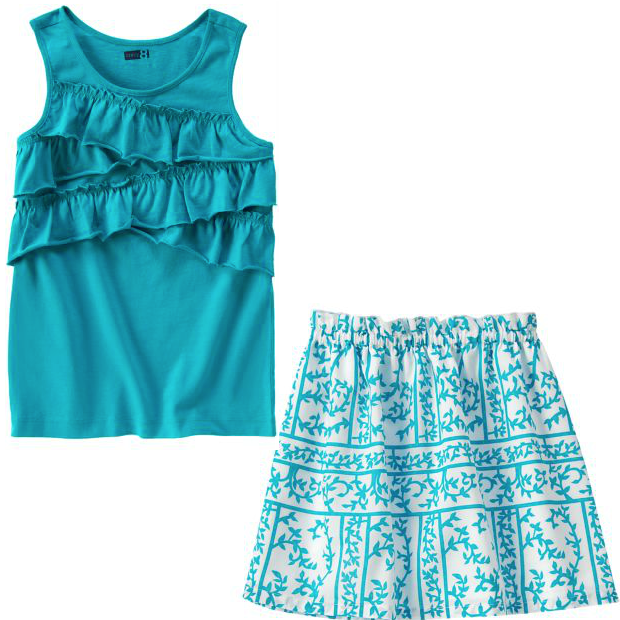 Pair it with the cotton batiste fully lined Geo Floral Skirt in 3 colors 50% off at $9.94. Both are machine washable. Lots of styles to choose from in the Summer Blowout – 50% Off sale At Crazy 8!